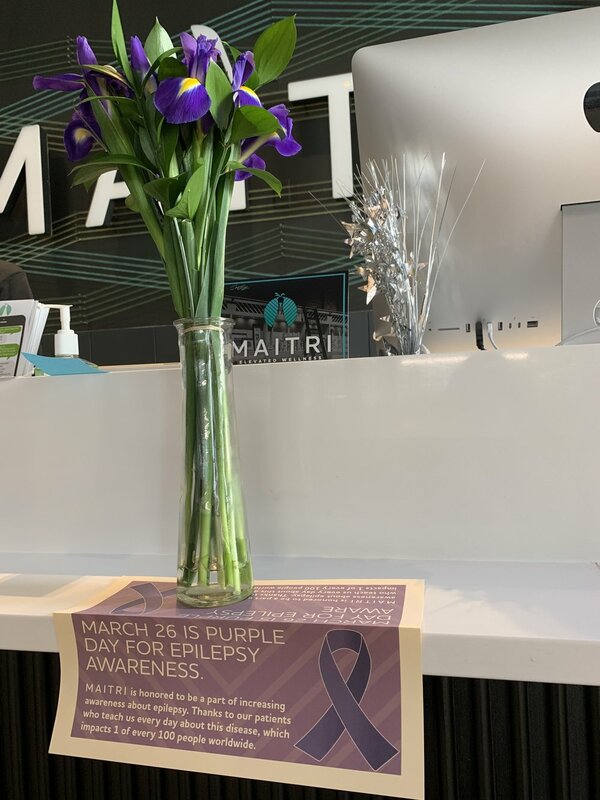 Across the world, families and communities celebrate March 26 as Purple Day, an international grassroots effort dedicated to increasing awareness about epilepsy. At Maitri, we’ve been privileged to learn about this common neurological condition from some of the very people whose hard work and advocacy led to the legalization of a medical marijuana program here in Pennsylvania. Scroll down for links with more information about the effects of medical marijuana on patients with epilepsy. It is currently estimated that 1 in every 100 people worldwide have epilepsy. In fact, epilepsy is one of the most common chronic neurological disorders. Do you know how to respond if someone in your life were to have a seizure? STAY with the person and start timing the seizure. Keep the person SAFE by guiding them away from harmful or sharp objects, and asking others to clear the space around the person seizing. Turn the person onto their SIDE if they are not awake and aware. Additionally, it is important to note you should never try restraining someone who is having a seizure, or try to put anything in their mouth. Learn more about epilepsy and seizure response protocol on the Epilepsy Foundation’s website.